I am always game for an amazing ice-cream sundae. 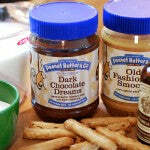 This is my newest favorite because it combines two of my favorite flavors – peanut butter and chocolate. 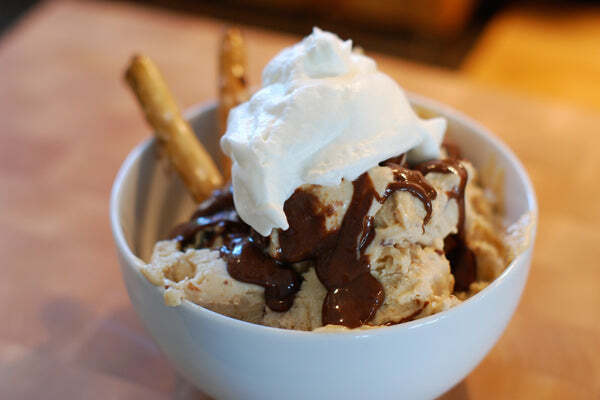 To give the ice-cream extra texture I take it over the top by adding chocolate peanut butter dipped pretzels. The saltiness of the pretzel lends just the right amount of extra flavor and subtle crunch. 1. 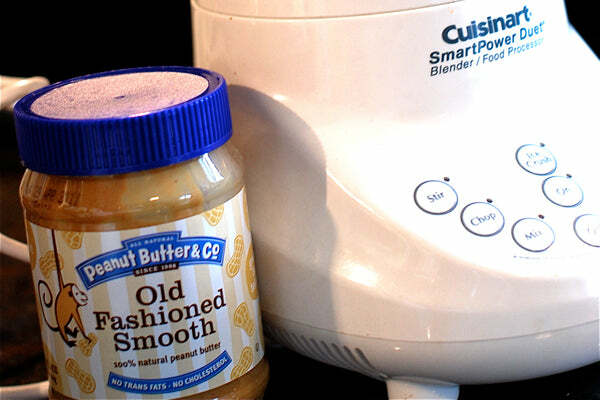 In a blender, puree the Old Fashioned Smooth peanut butter, sugar, cream, half-and-half and salt until completely smooth. You might need to stop and scrape down the sides of the blender a few times to make sure everything gets completely incorporated. 2. While the ice cream is chilling, melt 1/2 cup Dark Chocolate Dreams peanut butter in a shallow sauce pan over very low heat. 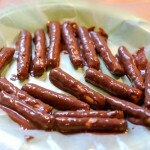 Dip each pretzel until it is completely coated and then place it on a sheet of wax paper. 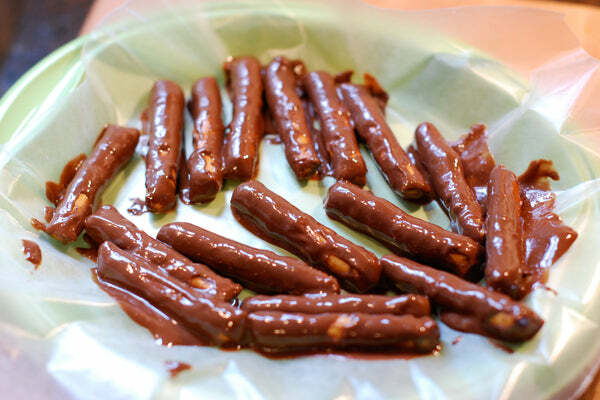 Place the pretzels in the freezer for at least 2 hours. 3. 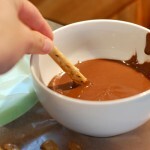 Pour the mixture into a glass bowl and chill it in the refrigerator for at least 6 hours. 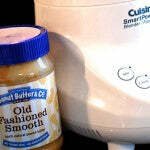 Then, pour it into an ice cream maker and churn according to the manufacturer’s directions. 4. 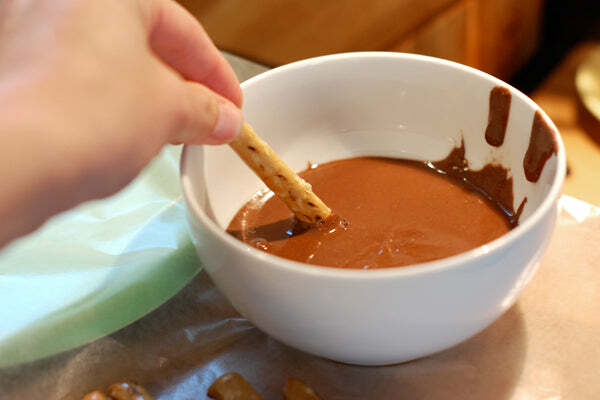 While the ice cream is churning, break the pretzels into pieces about 1/4” to 1/2” wide. When the ice cream is ready to be removed from the machine fold in the pretzels with a spatula until evenly incorporated. 5. To make the sundae, melt the remaining 1/2 cup of Dark Chocolate Dreams over low heat. Scoop the ice-cream evenly into four bowls. 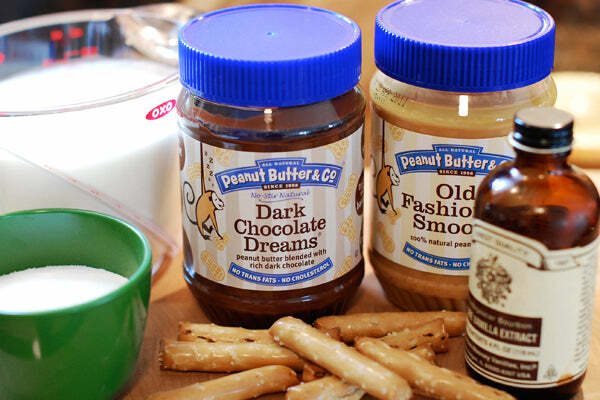 Drizzle each bowl with 1/4 of the Dark Chocolate Dreams Sauce. Top with whipped cream and serve. 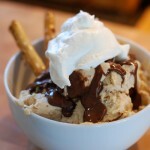 The post Double Peanut Butter & Pretzel Sundae appeared first on - Peanut Butter & Co. Recipe Blog.